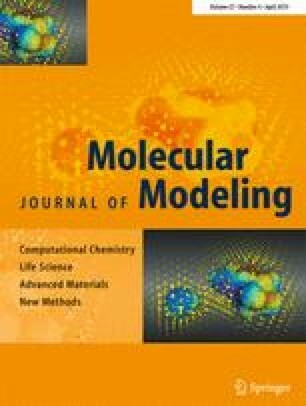 In this work, we present a computational study on the antioxidant potential of myricetin 3-O-α-L-rhamnopyranoside (Compound M3) and myricetin 4′-O-α-L-rhamnopyranoside (Compound M4′). Structural parameters, bond dissociation enthalpies (BDEs), ionization potentials (IPs), proton dissociation enthalpies (PDEs), proton affinities (PAs), and electron transfer enthalpies (ETEs), which are properties connected with different mechanisms related to antioxidant activity, were determined using density functional theory (DFT) with B3LYP, LC-ωPBE, M06-2X, and BMK functionals along with the 6-311G(d,p) and 6-311+G(d,p) basis sets in the gas phase, water, and pentylethanoate. The values obtained were compared with results previously available in the literature for myricetin (the parent molecule and a well-known antioxidant) and myricetin 3,4′-di-O-α-L-rhamnopyranoside (Compound M3,4′). As the BDEs are considerably lower than the IPs, the HAT mechanism is preferred over SET for the compounds M3 and M4′. The present study indicates Compound M3 as having its lowest bond dissociation enthalpy from the several different OH groups with similar value to the lowest for myricetin (74.72 kcal/mol versus 74.8 kcal/mol, respectively, at the B3LYP/6-311G(d,p) level of theory in the gas phase) and, thus, presenting antioxidant potential as good as its parent molecule. On the other hand, Compound M4′ presented 78.97 kcal/mol as the lowest BDE at the B3LYP/6-311G(d,p) level of theory in the gas phase, that is very close to the 78.34 kcal/mol computed using the same approach for Compound M3,4′. Therefore, the present investigation indicated Compound M4′ as being a slightly inferior antioxidant (with antioxidant potential comparable to Compound M3,4′) than Compound M3. In addition, the inclusion of the sugar moiety studied here in the position 4′-ArOH of myricetin seems to have a more marked impact (downward) on the antioxidant activity than the glycosylation in the position 3-ArOH. The online version of this article ( https://doi.org/10.1007/s00894-019-3959-x) contains supplementary material, which is available to authorized users. The Brazilian agency CNPq funded this work (Process number: 306266/2016-4). AB thanks the Natural Sciences and Engineering Research Council of Canada for funding (NSERC - Discovery Grant). This research was supported in part by PL-Grid Infrastructure. Cartesian coordinates for optimized geometries, harmonic frequencies for the OH stretches, and the spin densities for the various radicals can be found in the Supplementary Material.